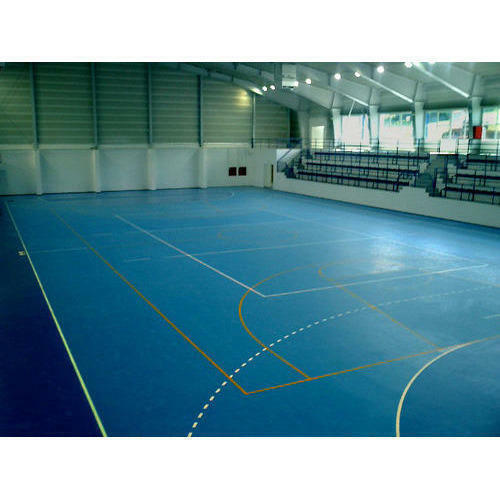 Backed with years of experience in this domain, we offer a large collection of Sports Court Flooring Service. These are rendered according to the client’s demands. Offered flooring services are admired due to their perfect execution, reasonable price, low complexity, and client-focused approach. We, "Shree Anupamam" a Leading Manufacturer, Wholesaler, Trader & Retailer of Flooring - Wooden, Vinyl, Carpet, Window Blinds, Rubber Tiles, False Ceiling, Wall Papers, Office Furniture, Air Curtain, Door Mats, Office Chairs, Flooring Marble Granite, Tables, Cabinets, Cafeteria Chairs, etc a "Sole Proprietorship" business venture that started its business operations in the year 1995 Jaipur, Rajasthan. We are headed by our manager, Mr. Nikanj Pareek, whose hard work and constant support has enabled us, to transform our existing range, to suit customer's needs and preferences. We are also a Service Provider of Sports Flooring Service, False Ceiling Services, Interior Designing Service, etc.